Cleansui Water Filter Jugs & Cartridges! Items not collected/received by 11 March 2019 will be forfeited and no refund will be given. Design by Guzzini, this water filter provides clean water for you and your family! Cleansui’s advance filtration system uses a combination of mesh, ion exchange resin, activated carbon, together with hollow fibre membrane filter. Filters successfully through chlorine, lime, bacteria and other microorganisms, metal particles such as rust, lead, etc. Please check instructions and user manual for when a cartridge change is required. 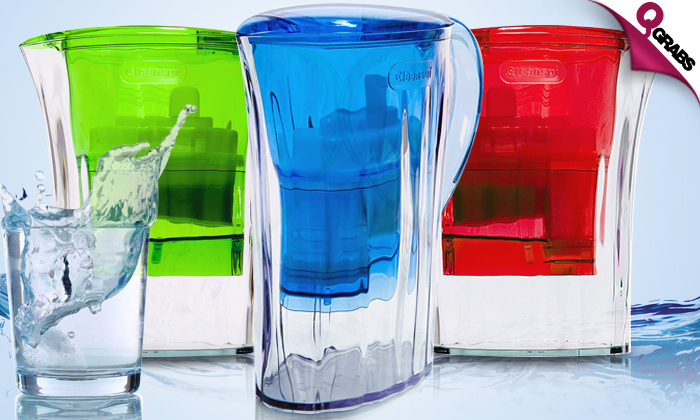 Clean water with up to 40% off!